Microglia-induced reactive oxygen species (ROS) production and inflammation play an imperative role in neurodegenerative diseases like Alzheimer’s disease (AD) and Parkinson’s disease (PD). 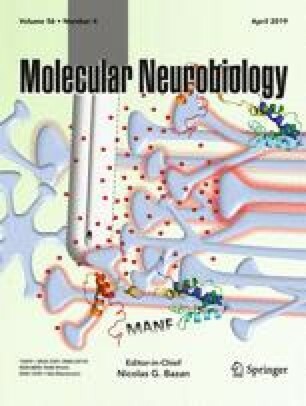 It has been established that angiotensin II type-2 receptor (AT2R) activation is neuroprotective in central nervous system diseases like stroke and AD. However, the involvement of AT2R in NADPH oxidase (NOX)-mediated microglia activation is still elusive. Therefore, the present study investigated the role of AT2R in angiotensin II (Ang II) or Phorbol 12-myristate 13-acetate (PMA)-induced microglia activation in BV2 cells, primary microglia, p47phox knockout (p47KO) microglia, and in vivo. Treatment of microglia with Ang II or PMA induced a significant ROS generation and promoted pro-inflammatory microglia in a NOX-dependent manner. In contrast, AT2R activation by CGP42112A (CGP) inhibited NOX activation, ROS production, and pro-inflammatory microglia activation, while promoting the immunoregulatory microglia. This inhibitory effect of AT2R on NOX and pro-inflammatory activation was attenuated by AT2R antagonist, PD123319. Essentially, NOX inhibition (by DPI) or scavenging cellular ROS (by NAC) or p47KO microglia were immune to Ang II- or PMA-induced pro-inflammatory microglia activation. Mechanistically, AT2R, via activation of protein phosphatase-2A (PP2A), prevented the Ang II- or PMA-induced protein kinase C (PKC) activation and phosphorylation of p47phox, an effect that was reversed by the addition of PP2A inhibitor, Okadaic acid (OA). Importantly, PKC inhibitor, Rottlerin, inhibited the Ang II- or PMA-induced p47phox phosphorylation and ROS generation to the similar extent as AT2R activation. In addition, AT2R activation or p47KO prevented ROS production, pro-inflammatory microglial activation, and sickness behavior in mice model of neuroinflammation. Therefore, the present findings suggested that AT2R, via PP2A-mediated inhibition of PKC, prevents the NOX activation, ROS generation, and subsequent pro-inflammatory activation of microglia. Shahnawaz Ali Bhat and Anika Sood contributed equally to this work. The online version of this article ( https://doi.org/10.1007/s12035-018-1272-9) contains supplementary material, which is available to authorized users. We are extremely thankful to Dr. Kumaravelu Jagavelu (CSIR-CDRI) for providing the genotyped WT and KO mice used in the studies. We are highly thankful to Mr. A. L. Vishwakarma, Mrs. M. Chaturvedi, and Mr. Dhananjay Sharma for help with the flow cytometry and confocal microscopy procedures. We are highly thankful to Mr. Jitender Singh Kanshana and Mr. Anant Jaiswal for help in real-time PCR studies. We also acknowledge THUNDER (BSC0102) and MoES (GAP0118) for the confocal facility. The CSIR-CDRI communication number of this article is 9722. The study was supported by a financial grant to Kashif Hanif from Department of Biotechnology (DBT, Grant No. BT/PR4021/MED/30/676/2011) and CSIR Network Project MIND (BSC0115). Award of research fellowships to SAB from the Indian Council of Medical Research (ICMR), New Delhi and AS from NIPER, Rae Bareli, are greatly acknowledged.